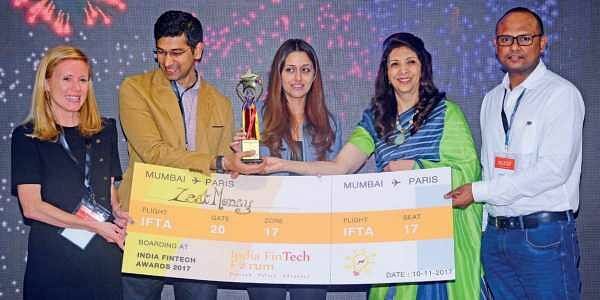 BENGALURU: Even as the country is witnessing a steep rise in fintech startups, a Bengaluru-based fintech startup, ZestMoney, has made it to the top and has been recognised as the ‘Fintech Startup of the Year’, as part of the FinTech Awards (IFTA) 2017, organised by the India FinTech Forum. ZestMoney will get a direct entry to the Paris Fintech Forum in January 2018.The startup, which was set up in 2015 in the city, was selected from 20 fintech startups across ten countries, all of which demonstrated their products at the IFTA 2017. The startup is a fintech platform where one can opt for EMI-based payments for online shopping, without having to go through the hassle of getting a credit card. A customer can set up a ZestMoney account by giving out PAN and Aadhaar details. After taking into account your verifiable income and savings, the platform allows you to choose an EMI option. One can opt for ZestMoney while checking out after online shopping or one can shop with sites partnered by ZestMoney. The EMI will be automatically deducted from your bank account on a monthly basis, based on the account details you have shared. Quikr, Amazon, Flipkart, Urban Ladder are some of the partners of this fintech platform. Omidyar Capital, Naspers and Ribbit Capital are some of the investors in this fintech platform. According to a PwC ‘Fintech Trends Report India-2017’, there are roughly around 1,500 FinTech startups operating in India, out of which as much as half of them were set up in the last two years.